We are one of the foremost firms of Scaffolding Clam. Munnalal Pannalal Construction Pvt. 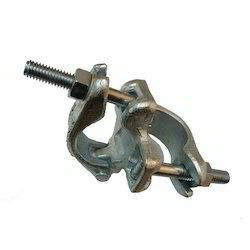 Ltd.
We have a exclusive range of Scaffold Coupler offering to our clients. These are available in different sizes and dimensions to meet the requirements of various industrial applications. 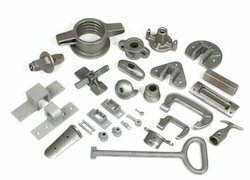 Our range is appreciated for corrosion resistance, durability, high strength, and excellent finish. These can be customized as per the special requirements of the clients. We have achieved immense success in this domain by providing a superior quality gamut of Bracing Pipe to our clients within the specific time frame. Includes, Cuplock Verticle, Ledger (Horizontal), Base Jacks, Stirup Heads (U Jacks). All sizes available.